Want to play with meshes? It is very easy to see what is coming by downloading a new beta client and visiting Mesh City. It is also very easy to upload and test out meshes you can get for free off the web. 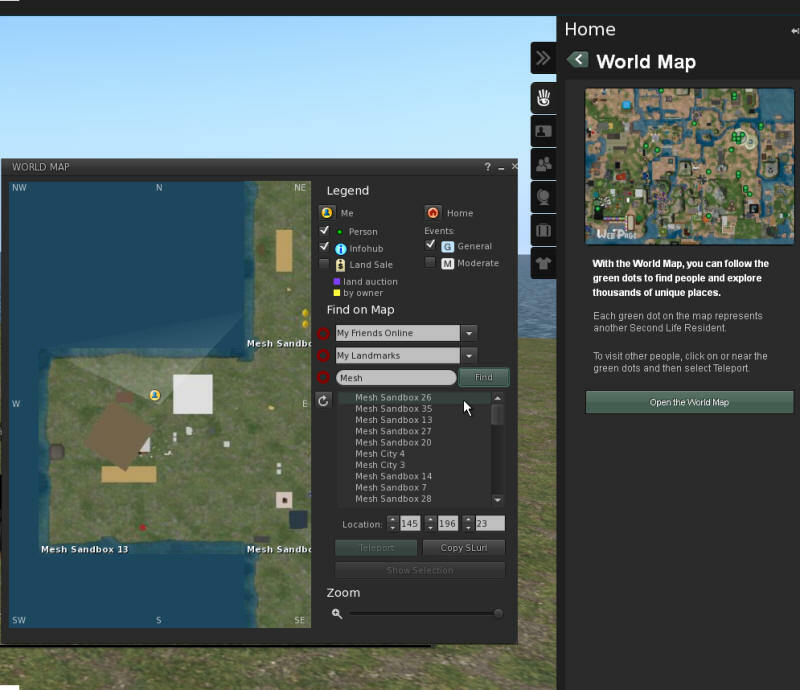 The first thing you will need to do is to download the new Mesh Beta viewer and run it. You will automatically be sent to Aditi, the Beta test grid. The Beta grid is not a permanent grid, but a snapshot of your avatars status. You won;t be able to save anything there and bring it into the main grid. But uploads cost nothing, and you can try out the new mesh features. 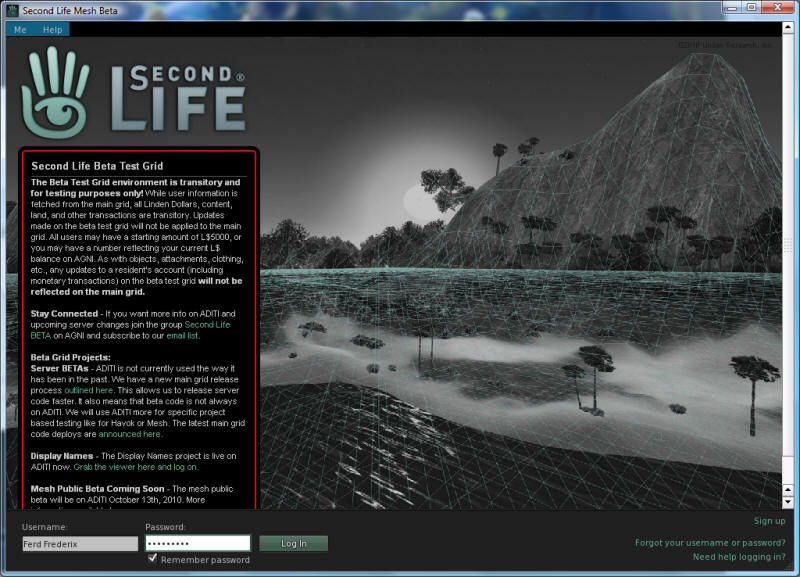 The Beta Test Grid environment is transitory and for testing purposes only! While user information is fetched from the main grid, all Linden Dollars, content, land, and other transactions are transitory. Updates made on the beta test grid will not be applied to the main grid. All users may have a starting amount of L$5000, or you may have a number reflecting your current L$ balance on AGNI. As with objects, attachments, clothing, etc., any updates to a resident's account (including monetary transactions) on the beta test grid will not be reflected on the main grid. 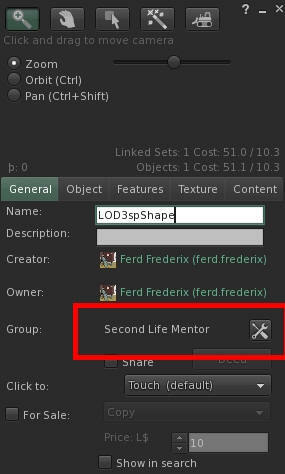 Interestingly enough, I am still a member of the Second Life Mentors group in the Beta grid! 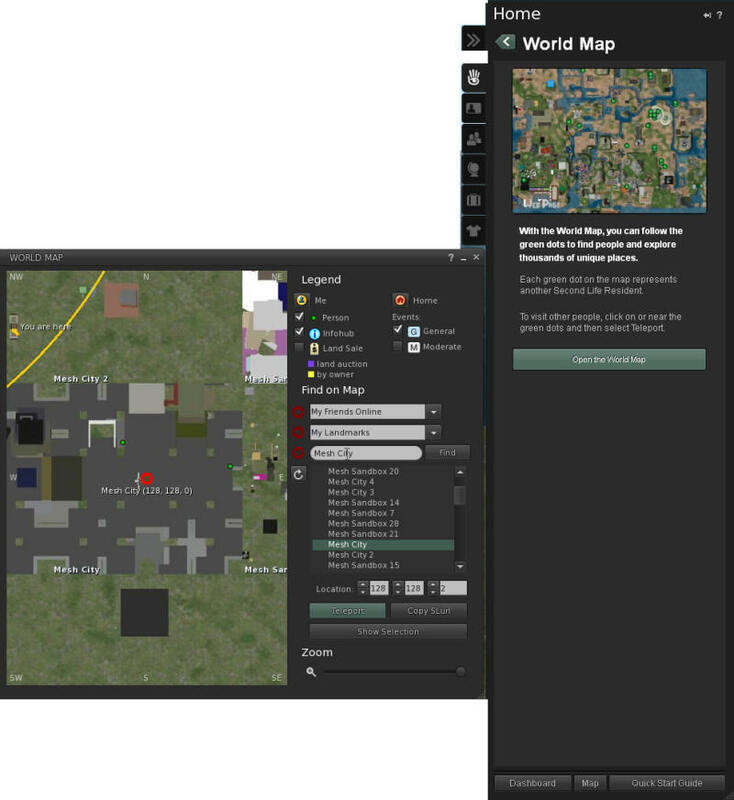 Now open the map and search for Mesh City. If you don't see a city, you have the bug reported in CTS-395. Relog into the beta grid If you can now see the city, please click the link to CTS-395, log in to the Jira and click 'Vote' to get it fixed. First you will need a Collada Mesh model to play with. The Second Life developers have created some simple models. Here is a mesh duck and a mesh avatar. Click the link and download it to your hard drive. Pick a sandbox, and click the map to teleport to a sandbox. Browse to your Collada model which is a .dae file. and upload it. It won't cost anything in the beta grid. 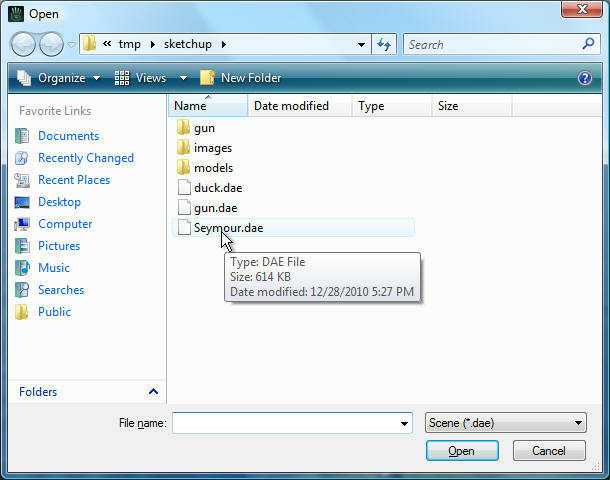 Here I have selected the Seymor.dae file. In the next step, you can fiddle with all of the options in the upload. 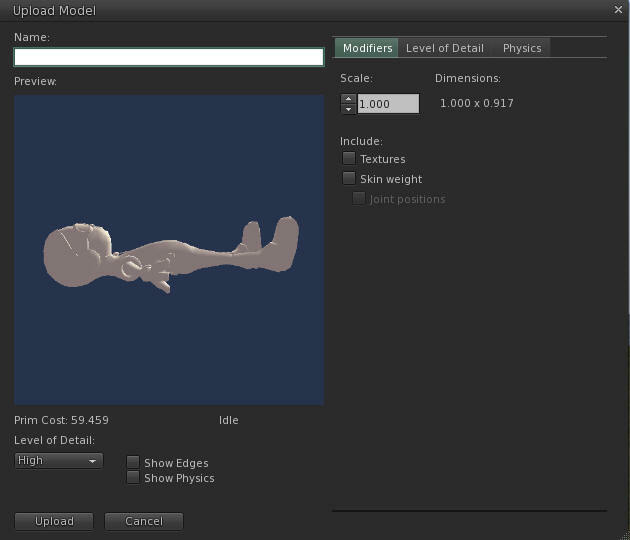 Give your model a name, then click Upload. Once it has uploaded, your Inventory focus will change to the new Meshes folder. Ignore it. Go to the Objects folder and drag your new object into the world. Find your object in your Objects folder; if you're having trouble or have a large inventory, use your inventory's RECENT tab. Drag the new object from your Objects folder to anywhere on the ground where you have permissions to build. The model will appeas on the ground. Right-click the model and select Edit. The Edit Object window appears. As you can see, the level of detail is very high for this type of mesh!